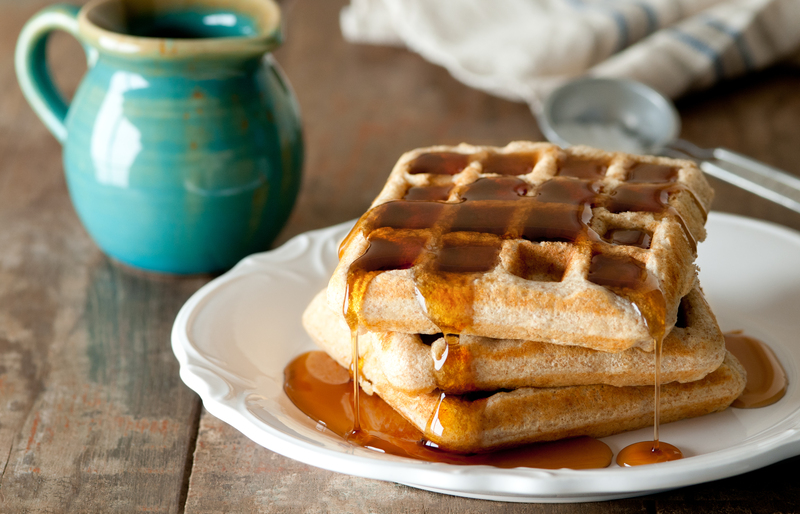 These waffles are very light and fluffy for being whole wheat. Very yummy and healthy too. Mix dry ingredients. Mix wet ingredients separately. Mix dry and wet together whisk until smooth. Pour about 3/4 of a cup of batter at a time onto the waffle iron. You will begin to see steam coming out of the iron. Cook the waffles until the steam is almost gone. Any waffles we don't eat right away get put into the freezer, and we pop them in the toaster for a quick breakfast or snack..